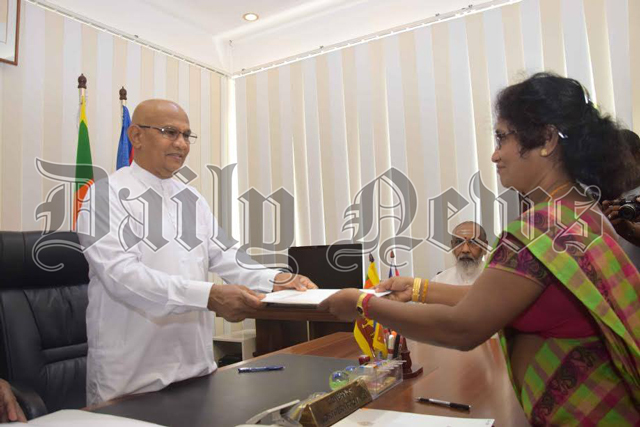 Northern Provincial (NP) Councillors Ananthi Sasitharan and K. Sarveswaran took oaths as temporary Northern Provincial Ministers before NP Governor Reginald Cooray a short while ago. Ananthi Sasitharan took oaths as the Cooperative, Social Services and Women Affairs, Rehabilitation, Food Supply and Distribution, Industries and Enterprise Promotion Minister. K. Sarveswaran took oaths as the Education, Cultural Affairs, Sports and Youth Affairs Minister.